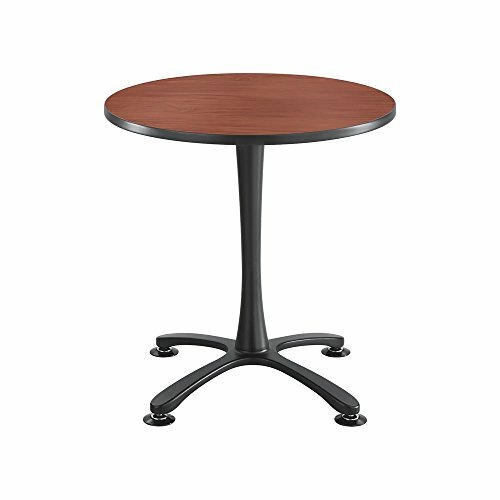 The Cha-Cha Sitting-Height collaboration table is a 30'' round tabletop featuring an X style base. All tabletops have 1-inch, high-pressure laminate with 3mm vinyl t-molded edging. Workspace table includes leg levelers for stability on uneven surfaces. Design your perfect workspace table with a Cherry top and Black base.